Psalms contain the praises of the people. This is the people of Israel's creed. But more than that, they display historical accounts which demonstrate how the people are to put their trust in God. They display the character of God who is majestic, compassionate and our Creator God. 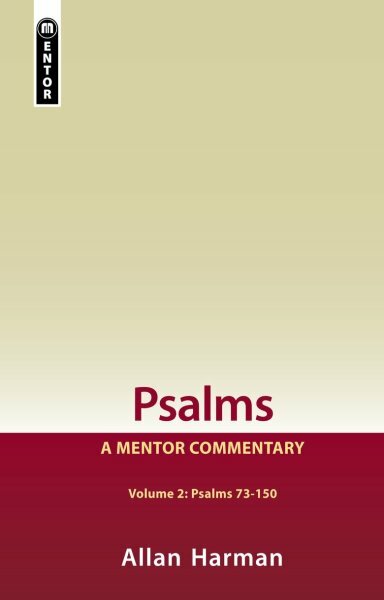 Mentor Commentaries retains a high view of Scripture whilst interacting with other research from different theological viewpoints. Allan Harman has had a life-time interest in exposition of the biblical text. He is Research Professor at the Presbyterian Theological College in Melbourne, Australia. He has lectured and preached in many countries and served as the senior editor of the Reformed Theological Review, Australia's oldest theological journal until he retired at the end of 2013.